President Ram Nath Kovind gave his seal of approval to the Election Commission’s (EC’s) recommendation to cancel the Lok Sabha election at Vellore in Tamil Nadu. This was owing to the seizure of unaccounted money to the tune of Rs 11 crore from the house of DMK candidate Kathir Anand, son of party treasurer Duraimurugan, along with other premises. Vellore is supposed to go to polls in the second phase on Thursday. Meanwhile, the income tax department initiated search operations at DMK leader Kanimozhi’s house in Thoothukudi, alleged party workers. 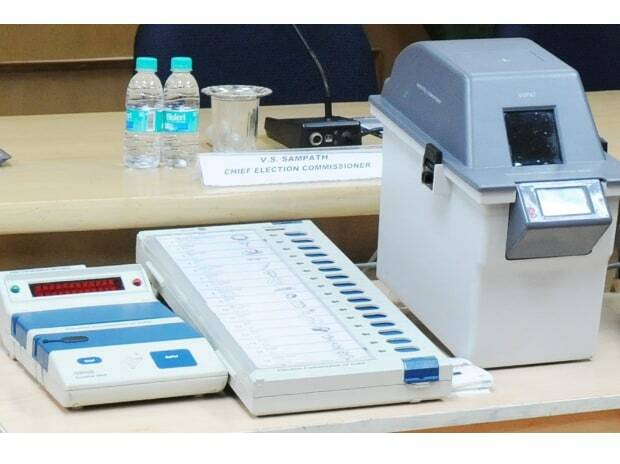 Tamil Nadu’s chief electoral officer Satyabrata Sahoo submitted the report related to the seizure of money. The DMK, in a statement, came down heavily on the poll panel’s action, stating that the EC’s neutrality is suffering under Prime Minister Narendra Modi. Condemning the act of cancelling the polls in Vellore as well as the raids in Kanimozhi’s house on Tuesday evening, the party asked who the EC is trying to satisfy through these acts. DMK further alleged that the EC and its officials are working as a partner to the ruling parties both at the Centre and the state. It will also examine options to approach the judiciary in this regard, the party added.